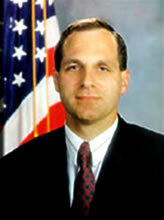 Former FBI Director Louis Freeh urged graduating students Saturday to give back to their community during a commencement speech at St. Anselm College, the New Hampshire Union Leader reports. “We should all strive to help create a more perfect union,” said Freeh, who was selected because of his commitment to law enforcement, the Union Leader wrote. Freeh also remarked about a time when his 2-year-old son pushed his older brother into a pond at the Rose Garden during the nomination process by President Bill Clinton. When the 2-year-old lied and told the president that he didn’t shove his brother, Clinton said the lawyer in the young boy made him proud. Posted: 5/20/13 at 9:00 AM under FBI, News Story.